Please note that there are problems with this post and I’ve talked about, and fixed, those problems here. Thanks for reading! In a series of blog posts this year, I will be looking at these characteristics individually and will incorporate concrete examples. Today I start with “Simple to Complex”. The number rods teach him relative amounts and prepare him for one to ten counting. 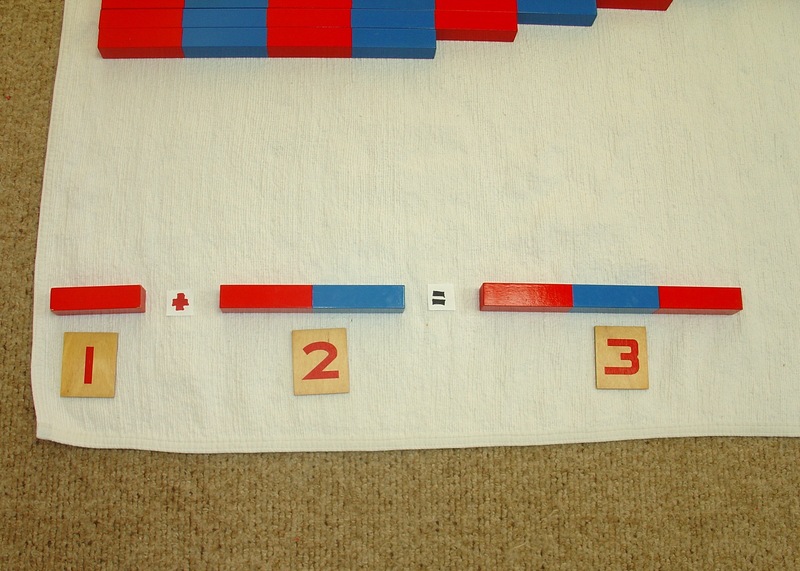 As you can see, the number rods have gone from simple understanding of relative quantity to the more complex idea of addition – simple to complex. 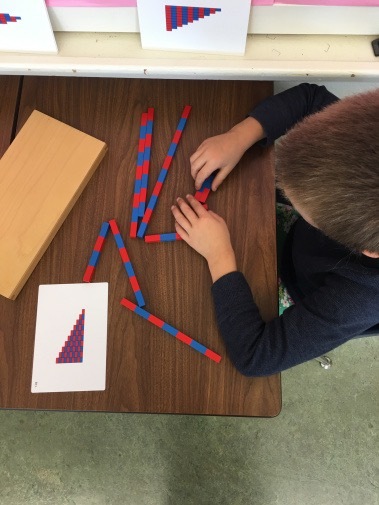 For a full breakdown of Montessori Math curriculum (and to see the many, many examples of the math materials moving from simple to complex), this is a good resource. 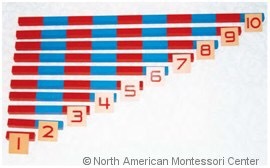 I’ve chosen math material as the example here but the language materials work in a similar way. This entry was posted in Concepts, Materials, Uncategorized on October 30, 2017 by kxmorrison.